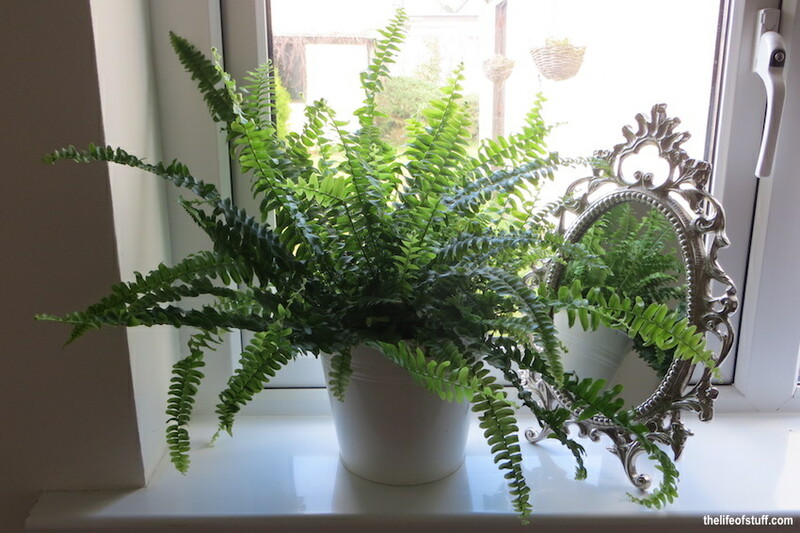 Followers of The Life of Stuff will know that I’m a very proud mother to two beautiful boys. Smith, our bright-eyed, quick-witted, inquisitive and adventurous two-year old. (completely off the subject: I was going to write two and two-thirds when I realised that 2/3 in decimal form is .666 so as we’ve only seen a glimpse of the ‘terrible two’s’, I’ll leave that ‘666’ number where it is, thank you very much). And Cassidy our bright-eyed, so warm and cuddly, giggling, drooling, ‘I just want to stand’ seven month old. This year marks Cassidy’s first Christmas and Smith’s third. And because we’re just like many parent’s world-wide, we too have been, and continue to be, more excited about Chrimbo than our little ones. However with saying that, Smith is getting into the swing of things now that the Christmas tree is standing adorned in our living room. 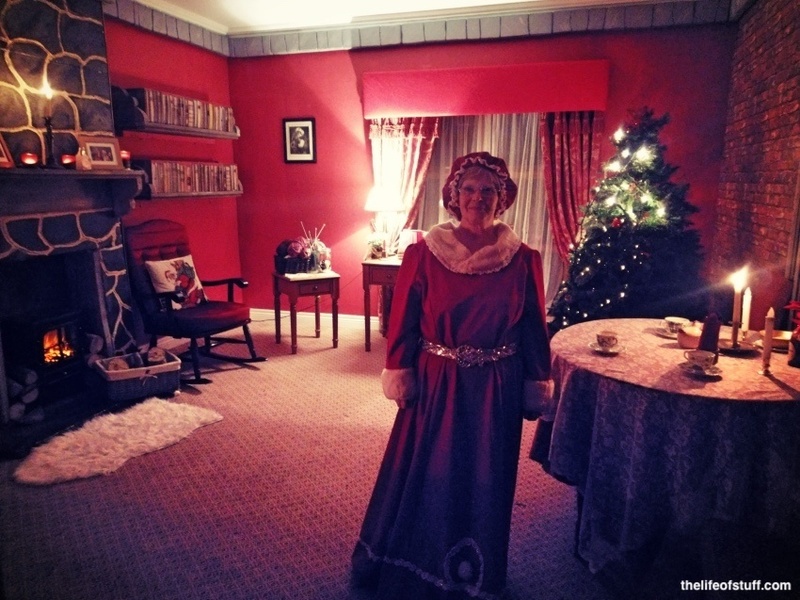 Santa’s Magical Trail at the luxury 4 Star family run Clanard Hotel in Athy, was indeed a magical experience. 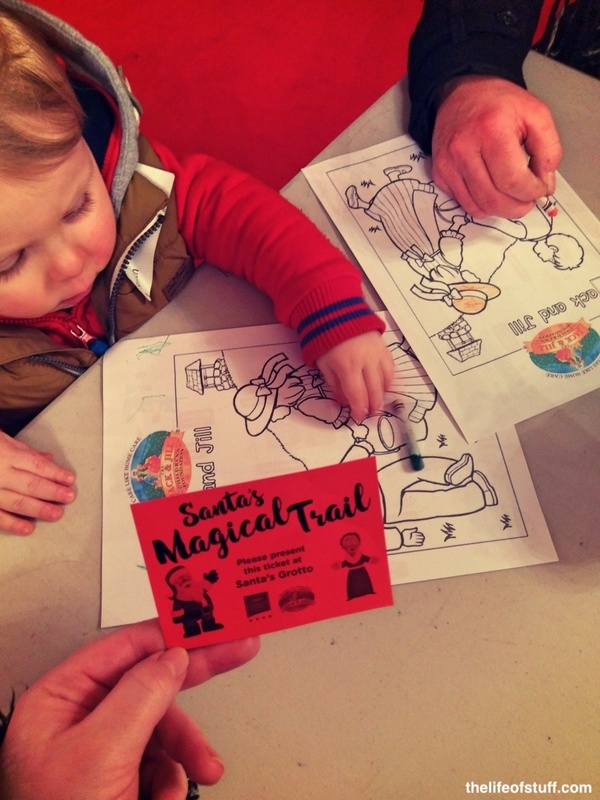 We started our evening colouring and sipping on hot chocolates and coffee while waiting for our name to be called to join the Santa’s elves on an interactive journey to meet him. 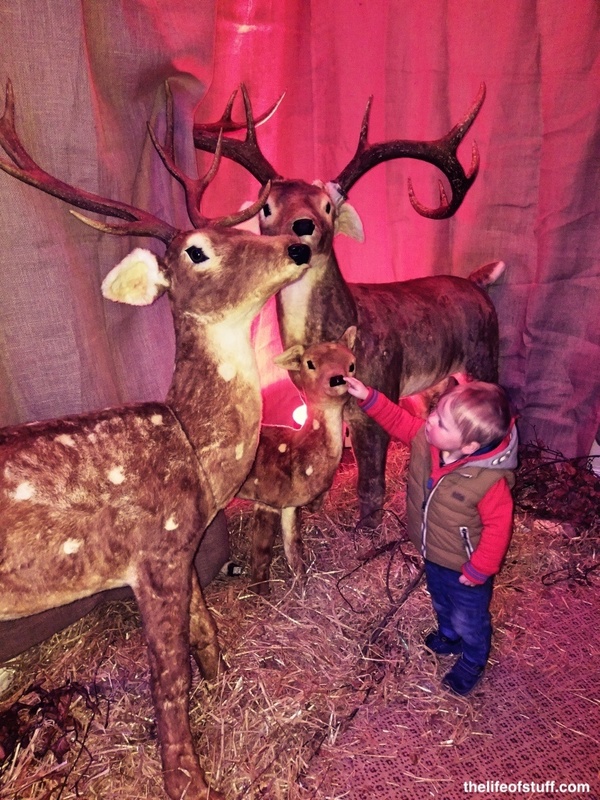 Smith enjoyed every minute, from petting the not so real reindeer’s to seeing the real deals in Santa’s Barn. 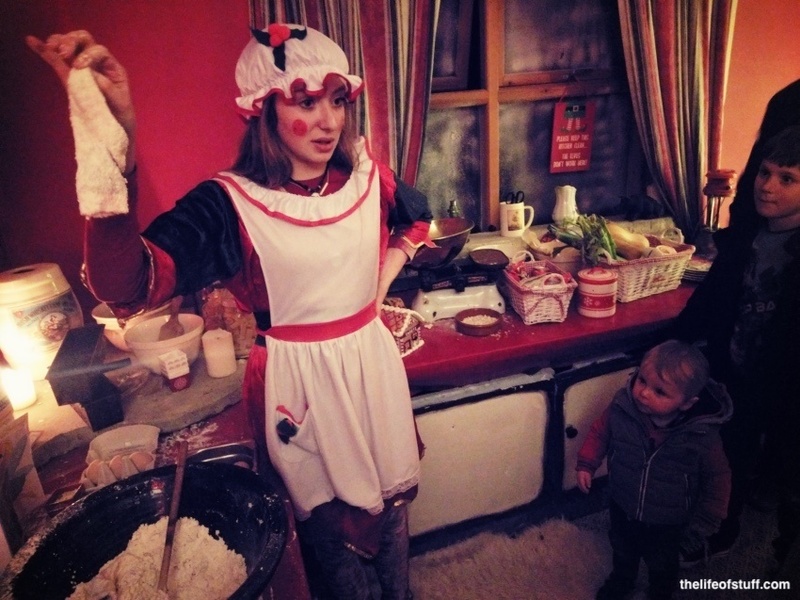 We visited the elves bedroom, made cakes in the elves kitchen, prepared our own magic sparkling reindeer food, posted a letter to Santa, and were happily greeted by the friendliest elves we could have ever expected to meet. We met the lovely Mrs Claus who was very happy to have us visit but of course the pièce de résistance was meeting the one and only Mr. Santa Claus himself. After our experience we rounded the evening off with dinner in the Bailey’s Bar Bistro within the Clanard Hotel. 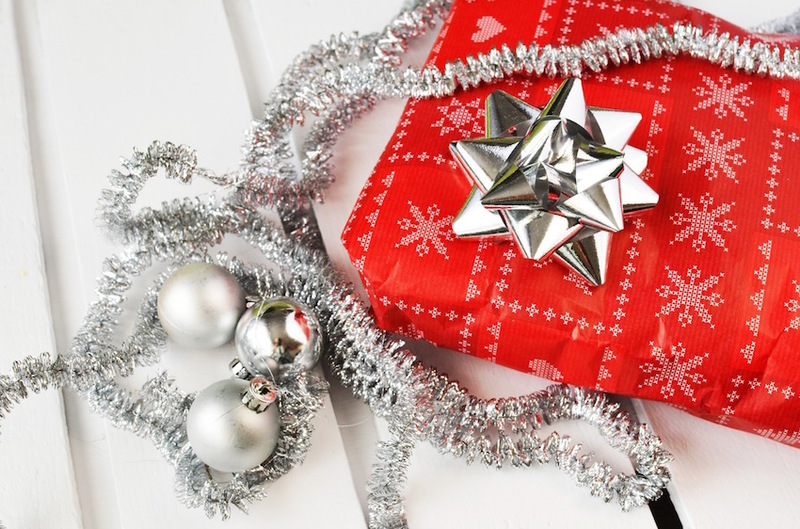 The website advises a duration of 75 minutes, but I’d definitely give you and your little ones two hours to enjoy the festive cheer, and add some more if you plan on dining afterwards. 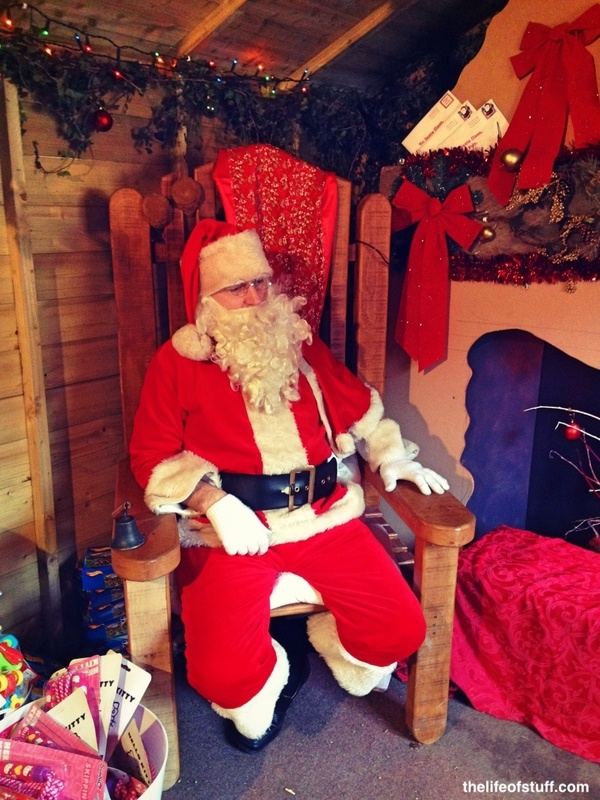 Depending on how busy the evening is, expect a little waiting time to visit Santa at the end of the trail. However there’s no queuing as your name will be called and there’s a play area for both toddlers and older children to burn off that extra excitement. To get a real feel of the Christmas spirit, this is the short video I shared on my social media last year. 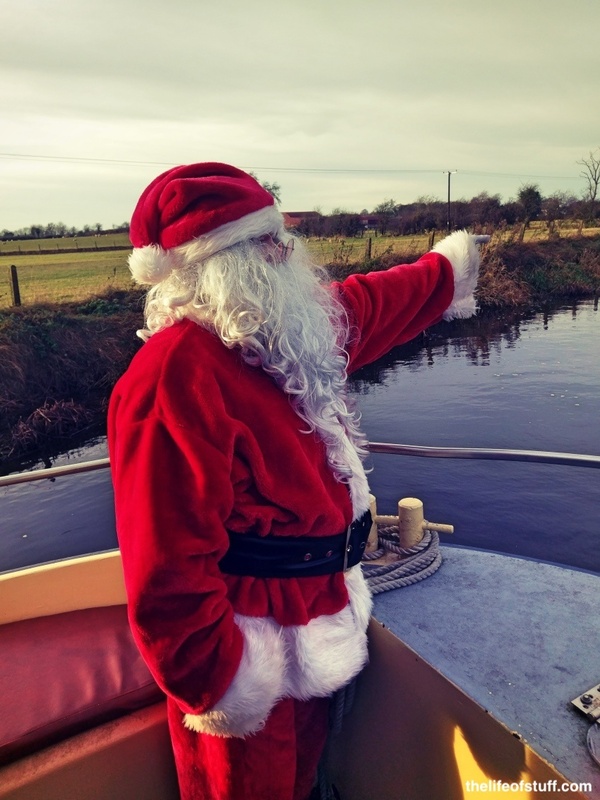 Santa’s Boat Tours with Athy Boat Tours was a lovely experience, and a unique one. Mixing a Santa experience with gorgeous scenery and nature lessons ticked all the boxes for Patrick, Smith and I.
Boarding the boat at the jetty in Athy that’s adjacent to the Courthouse, we were greeted by Santa’s ‘skipper’ elves who prepared us for our experience ahead by arranging our life jackets and helping us fit them on. 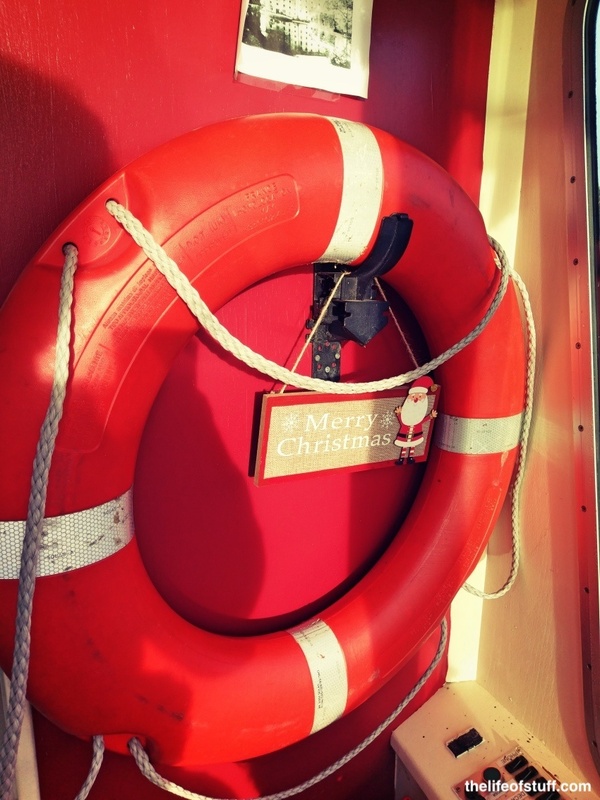 Once fitted we were given safety advice and shown where on the ‘Freedom on the Water’ passenger boat we could watch the world go by. But before all that there was a very important person onboard who we just had to meet, and he wasn’t hard to spot. 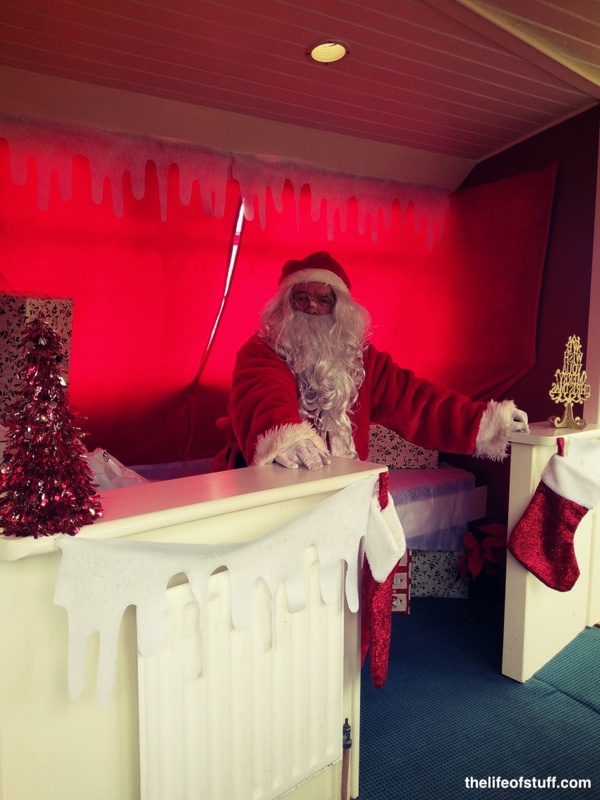 Mr Claus greeted us with a warm smile, festive chat and had lots of gifts waiting for all the little believers. 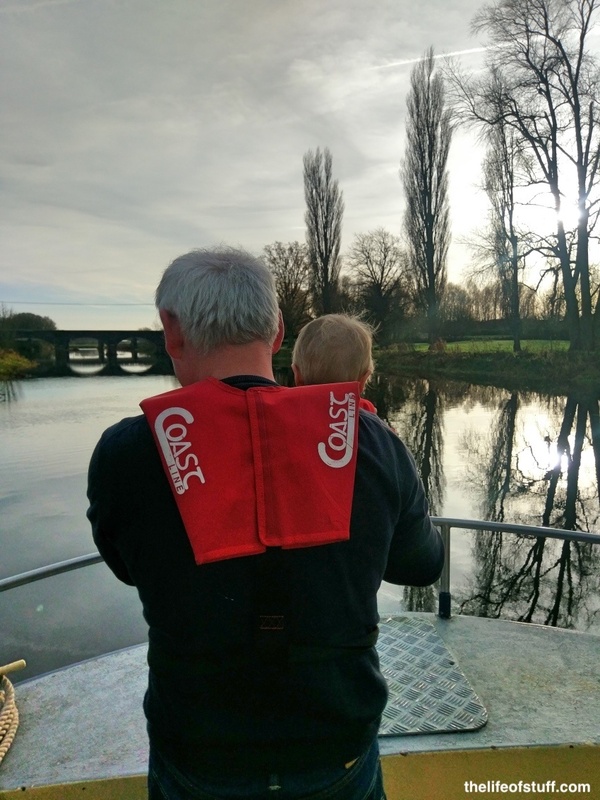 With present in tow, it was time to either sit back and relax or stand outside and take in the scenery of the River Barrow. Our favourite parts were the nature lessons from Santa’s ‘skipper’ elves. And luckily for us the weather held up and so there was plenty of fresh air, and nature opportunities. But I have to say it was comforting to step inside every now and then, especially when the teas, coffees, hot chocolates and treats were being served. Santa at Kildare Farm Shop and Open Farm was actually the first Santa we went to see as a little family, Smith was nine months old at the time and the setting was just perfect for us all. We wrapped up warm and took a leisurely stroll around and through the Open Farm before we made our way to Santa’s House. We didn’t get the train on our visit but plan to on our next, as I just know Smith would be in his element. There was a queue to visit Santa, and although quite long it did move quickly. As we shuffled along, we were greeted by happy elves and festive decoration before we entered Mr. Claus’ Home, which really did fit the scene. He sat happy to see us on a huge wooden throne surrounded by gifts and a strategically placed bench, that provided seating for all the family for that perfect festive family photo. Santa at Kildare Farm Foods and Open Farm is free, and each child gets a gift for free. There’s a photograph service, which you pay for and which we availed of as a keepsake. 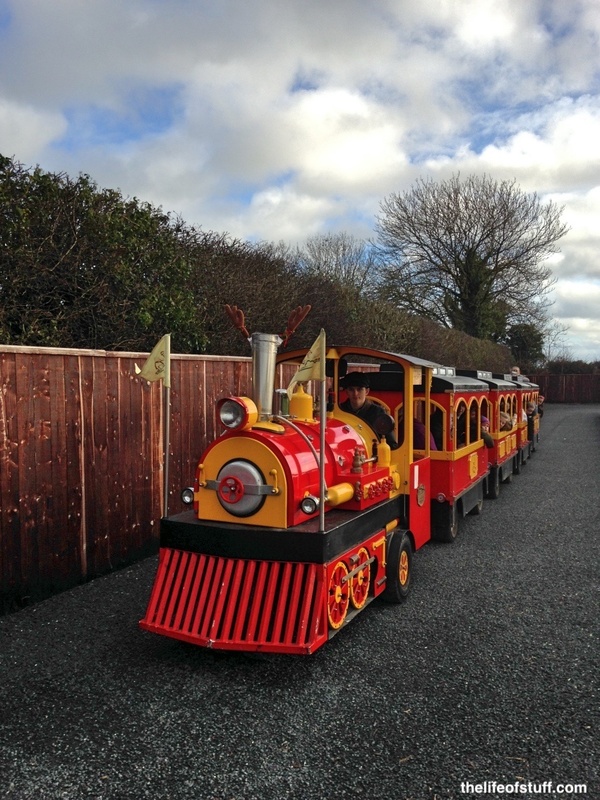 After visiting Santa and the animals there’s also a Christmas Market on site, and the busy Tractor Café to dine in. We’re looking forward to this year’s Santa adventure. Perhaps we’ll revisit one of these three unique experiences or maybe we’ll visit pastures new! You’ll find out by following me on Facebook, Twitter and Instagram. If you have a unique experience to share please leave it in the comments below! Happy Santa!